LT's bento for home, with rice( I added a little black soya sauce, the boys said it tasted like white rice. ), semolina coated salmon, tomato, quail egg, sausage and golden kiwis. 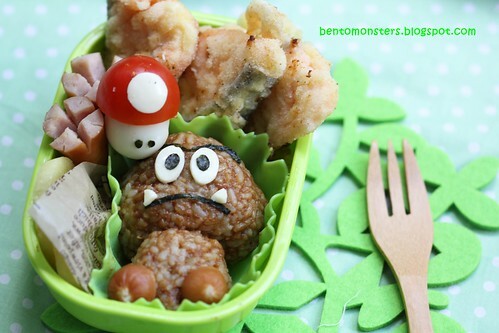 IT's bento for home, same food as IT's bento. 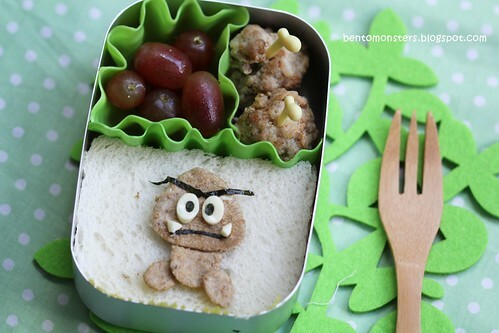 IT's bento for School, with Nutella sandwich, grapes and meatballs. 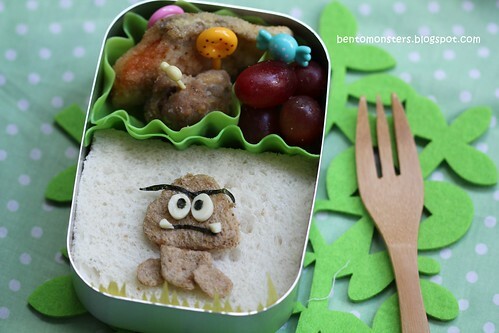 LT's bento for School, with strawberry sandwich, grapes, meatball and salmon. 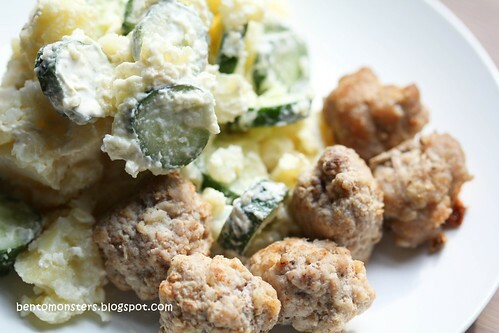 Potato salad and meatballs for Mummy. It's the end of the School week again, happy weekends to everyone. :) Next week will be the final week of School for this year. How time flies! 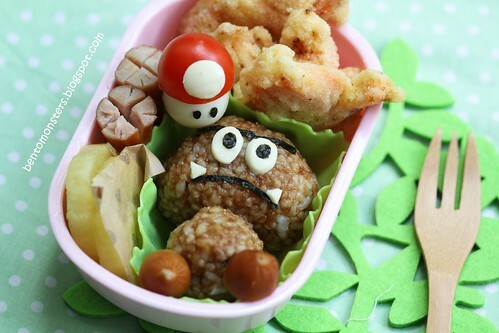 I simply LOVE the goomba bentos! That is soc cute! Thanks for letting us feature your tutorial at Bento Blog Network this week! love it!! the little mushroom is adorable! i wanted to try using a tomato with a cheese base one day..i dont know if you've tried that yet. but it just came to me one day. i love mushrooms! This looks super cute...!! I love Mario bros and used to play the nintendo game quite often as a child :D)!